Planhat is Software for Customer Success. "The most freindly software so far, give you all the information you need easy and simple"
I really love the triggers, it's really helps to follow your missions and not miss anything. the personas and the segments are absolutly amazing, you can filter anything that you want to make an orginaized menegment to all your costumers. the services of the Planhat team is very professional and fast, with a patient attitude that just makes everything more fun and effective. I can follow any movement of my costumers in my program using planhat, and it's amazing benefit that I can learn so much about a costumer's work in one look, and more then this I can make a trigger for each type of costumer that I want to promote. make my life easy and comfortable. "Must have tool, solves massive painpoints"
I like how Planhat is specifically built as a CRM for customer success, everything else in the market is designed for either ticketing/troubleshoot or it's sales CRM. Nothing else out there is built for people that have a retention model, who want SaaS clients recurring. Planhat is that golden tool, the salesforce for SaaS businesses and it has come a long way even in the past 12 months. Would like more video tutorials, it's a very powerful system and if a new team member jumped on, it's best someone show them the ropes. But this is probably mainly due to how customised we have it for us, so this isn't really a criticism. This was the only tool in the market that allowed us to run processes off the back of sales or customer success requirements. Developing our own playbooks and watching them create end to end accountability over the customer, with full visibility so at any stage we can automatically see where the client is up to and who has to act, I cannot put into words how indispensable Planhat has been to our success. We simply would have had to build a tool from scratch like Planhat to build our company out at the scale it is now if it wasn't for planhat. "Planhat saves us nearly a full FTE"
The playbook, triggers and customer phases have allowed us to grow signficantly whilst producing a material saving hours required to run complex, multi-leg customer management process. The shift from a prrevious checklist/ticket based system to one that automatically triggers playbooks dependant on the customer phase has probably saved use collectively 6-9 hours per day (on a team of 12) in time spent on followup, rework and manual button clicking. Not much. The daily summaries are useful, the UI is simple and intuitive....we really haven't found anything that is a drawback. Complex, multi stage, logic based process management. We have an onboarding process with at least 76 steps that is dependent on the system customers are migrating from, manual work required, tech sophistication level and any unknown-unknowns that pop up along the way. We'd previously used checklist based systems to ensure thoroughness but as the breadth of different customers that the product could cater to grew, our ability to ensure excellent service every time was limited by our process management system. Planhat solved all this in one step. I like the way Planhat helps me to keep track of all my customers. It has a good integration with SalesForce, Zendesk and Outlook. I never had to use their support, but heard great things from coworkers regarding setting a meeting for help or ideas how to improve. I am overall very impressed with Planhat. It takes some time to get used to the interface. It would be beneficial to be able to drag and drop customers in some sections (for instance, move a customer from one playbook to other). I like the info-graphics, but sometimes I am a bit annoyed by the filters (I often forget to click the 'Save' that sometimes is hidden at the bottom). Hopefully it will be more intuitive to view different graphics in the future. It allows me to develop good strategy to avoid churn. "Potentially it can be a great CS tool but they have a long way to go "
Planhat is great if you want to work with diifferent data regarding your customer, NPS, health score. With the insights and lifecycle information you are able to view at a glance the health and information about your customers. We also have an integration to track all interactions with the customer, so no info is lost. The salespipe is also an interesting feature which allows you to track potential cross and upsell with your customer base. They also have a great team which answer your questions and help you through the tool. Overall Planhat is a CS tool with a lot of potential but they still need to hone on a lot of the functionalities they have. Planhat can be slow (happens often unfortunately), which means that you have to sit and stare at your screen waiting for it to load. They have a playbook functionality which means you can create templates, but the templates, this is a good feature but you are unable to order them alphabetically or "hide" the playbooks which are made by colleagues so you do not see other languages for example, which means that you have to scroll through the whole list in order to find the playbook you need. We have a VoIP integration and although it works fairly well, there is no dialpad option, which means that if you make a call and happen to have to dial in an extension number you are unable to. GIves a 360 view of your customer. You can work with different data regarding your customer. The CS team needed a tool which gave more insight into the customer journey. "Planhat ONLY tool I would recommend for real time analysis for ANY Client Success professional!" The tool itself is extremely easy to use with a very clear aesthetic that allows me to see scores for various indicators for my clients at a glance. It is a lot more powerful than it looks, especially when coupled with the proper implementation. I use it daily to keep my portfolio healthy, reduce churn, and grow my accounts. Implementation to get full analytics can take a bit of time, but it is well worth it when compared to the level of insights you can access! The tool allows me to manage my portfolio of clients in its entirety and visualize various KPIs for engagement and usage across different visualization graphs and charts. I am able to maintain a pulse on health scores, usage, key value points for clients in relation to the last touch point and renewal date. Updating in real time, I always see a revolving door of information that prompts me updates for each of my clients as the day progresses. Through sorting based on "Last Active", I can see which users are focusing on what aspects of my product (all-day) and from there be able to strategically consult them based on their priorities. I have a window with Planhat open at all times on one of my monitors. "Great support, indispensable customer success tool"
1) Playbooks/plays - love the ability to create plays and playbooks that can be triggered automatically, giving us an easy way to create, manage, and execute entire workflows. 2) Portfolio view and filters - love the portfolio view and and how easy it is to customize that view with an easy and highly flexible way of creating filters. You can basically deep dive (from an eagle's eye point of view) into any set of your customers based on almost any data point. Would love more "trigger points" for the playbooks. Right now the trigger points that I'm able to set up are a bit limited. Also, a desktop app would be great, especially with improving notifications of tasks. Planhat is the way to go if you care about customer success. We're a monthly-subscription SaaS company so continuous customer success is paramount to us. We use PH to manage the customer onboard and success processes, as well as a log of all activity with all accounts. "Fast growing & flexible Customer Success tool"
We choose Planhat mainly because their technical setup and their extensive & structured API. As a customer we now experience the benefits of these technical advantages. We have build a custom integration but also use their out of the box integrations with Segment, Freshdesk & Promoter.io. In addition to these technical benefits their customer success team (& development team) is very responsive. Some of our feature requests were developed and implemented within a few weeks. Since Planhat is growing very fast and improving their product at a very high pace, sometimes some small bugs occur. But these have been solved very swiftly. 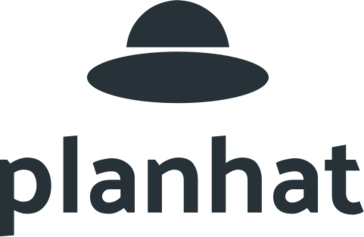 If you are looking for a flexible customer success software solution with a clear and open API and a great support team, Planhat could be a good fit for your company. Just reach out to them and ask for a free trial or online demo of their product and you'll quickly learn what their benefits are compared to other solutions out here. We are a B2B SaaS business with a very high number of paying customers (>10K) with a low ARPA. Therefore we need a tool that supports our Customer Success team in the prioritization of customers and automation of certain CS activities. So far, Planhat has helped us with this in the form of Playbooks & Email Automation based on triggers that you can set yourself. I like Planhat because it is saving me and my team a huge amount of time every day but took relatively little time to set up. I think we use all the bells and whistles and it does a great job as a CS platform. Particularly like it for Onboarding and working with clients around major projects as well as getting insights about user data and things like healthscores. Very good tool. id like to be able to invoice directly from planhat. Highly recommended - good tool. We now have a consistent and aligned approach to managing our customers as instead of having all their information in spreadsheets, CRM and ticketing we have it all structured and together in Planhat. "Has made my work with customer success a lot easier! " I love the control and overview planhat gives me of our customer base. In the beginning, you have to think about how to set the structure in order to customize it for your business and customer base and hence get the most out of the tool, however, once you've done that the tool is easy to use and super helpful in my daily work! I appreciate Planhat's continuous updates and Megan's (their lovely customer success manager) videos and support in how to use the tool. Their team is also very customer oriented and service minded. Defenitely recommend Planhat as a CS-tool. I don't really dislike anything but you need to think a little before you start using planhat in order to use it in the most sufficient and effective way for your business. They could make some parts of the tool a bit easier to understand how to use, but that's where megans videos come in very handy! keeping control and always having a good overview on our customers' next step, which phase they are in and what needs to be done in order to move forward. Planhat also helps with getting an overview on results and estimated forecasts. It simply simplifies my quite chaotic workload. "We are lowering churn with Planhat"
It is 100% helping us lower churn. I finally have a single place with all the info I need about my customers. As a CS rep I feel like I now have a system built for me, rather than always hacking my way around other systems. Im a big fan of Planhat. its done exactly what we needed and the team has been incredibly easy to work with. Its also very fast to implement. We are clearly getting better results. Our churn is trending down and we are seeing more opportunity for upselling and expanding clients than ever before. The other big benefit is just time saved - it may be that churn trending down is a consequence, but I have a lot more time than before thanks to stuff being automated and no longer having to click around so much. "The best Customer Success tool out there "
As with all Customer Success tools you need to spend time setting it up and to define what KPIs you should prioritize. With a large number of CSMs spread across the world, one of our main challenges have been to provide them insights about how to prioritize which customers to speak to on a daily and weekly basis. With Planhat we get great insights on which customers are at risk of churning and which have the potential to buy more as well as the ability to integrate playbooks, ensuring that each CSMs knows which customer to call and what to speak to them about. "The best Customer Success Management Platform"
I like the flexibility in the product and the Planhat teams deep understanding of Customer Success. The platform provides visibility into the customer data - we get a comprehensive 360 view of the portfolio, customer, and user. I really like the feature-level insights and the fact that you can track health on a user-level. . Nothing comes to mind. I think its important that people know what they want to do with a customer success platform. There are many functionalities but they may not be needed by everyone. We did a comprehensive RFP and looked through most of the vendors in the space. I think it's important that people know what they are looking for and ask tough questions! 1. Insights into our customer portfolio! - Portfolio level insights, feature level insights, team level insights (about our own CS-team), account level insights (customer 360) and user level- insights. "Actionable insights for our Customer Success team!" First of all they have a very intuitive and easy-to-use UI, something that was vital for us to ensure good adoption and daily use of the platform from our CS Reps.
Their APIs made integration of our data a simple process and gave us a new ability to measure adoption on a user level. Apart from the general UI, we are depended on the Health Score and their forecasting module. During the 8 months we have been using Planhat, they have had numerous of feature releases. It would be great to meet other Planhat users in a client community to discuss peer-2-peer practices & experiences. Make sure that you benchmark different tools out there in your consideration phase. Important to choose a platform provider that REALLY understands CS in and out, both from a rep, admin and executive point of view. Planhat come across very competent. It helps our Customer Success organization to proactive ensure adoption and value for our clients through an actionable health score. "World class customer success platform"
I've been really impressed by the flexibility and functionality of Planhat. They have managed to balance being able to provide deep actionable insights about client data and interactions with a great UI for driving CS processes and collaboration. With the CS tools I've used before they are only ever strong on one of these but the team at Planhat has figured out a great solution for both. With some of their recent updates offering voice of the customer tools and AI to help predict churn I'm excited for the future. Nothing to dislike so far - the team are very fast to respond and very knowledgable on CS strategy which is a great value add. Use the team at Planhat - they have a great understanding of Customer success strategy. We needed a better way to understand customer usage and align our CS team to become more efficient. Planhat is saving us a lot of hours each week through automations and efficiency gains and we are seeing churn reduce and customer health improve. "A great tool to be able to handle your clients. " The adoption feature they offer is a great way to know if our customers are using the tool and specific features, and if not, it let’s me know I need to reach out to them. It is a great addition to the health score! Having an idea of what your goals are for using the tool is great so you can start to see value right away. But if you're not quite sure their team is really helpful and they are more than happy to dig and problem solve with you. Knowing which customers are not adopting features or products, and knowing which customers are at risk for churn. "If you're not using Planhat, you're doing the wrong thing!" Clean, simple UX and great customer support. Thus far, I haven't found anything in the platform to dislike. I would definitely recommend Planhat to anyone who is trying to implement robust processes and systems around Customer Sucess. From implementation to usage, the product and support have been a pleasure to deal with. - Improved visibility over our customers and more specifically, the users of our product. - More efficient customer management and lifecycle understanding. - Visibility over individual CSM's workload and output and overall CS team performance. The software really didn't work - we stopped using it within weeks of getting into contract. But, since we had an annual contract, I decided to continue paying. It was afterall, our mistake for signing up for them after evaluation and getting into an annual contract. They renewed our account without notice and when I reached out to them, refused to cancel our subscription and claimed that we would continue to get billed for another 10 months. This is with me telling them that I was probably not going to use their software and hadn't used it in many months. Now, we're paying for two different customer success software providers, and one we're not even using - PlanHat. This has lead to $12,000 wasted for us. We were looking for a system that we could use for better managing our customer success software. We haven't seen much in terms of actual benefits from PlanHat. "Great tool for client success teams - helps you proactively tackle churn risk clients"
PlanHat has helped our client success team focus their efforts on churn risk clients. The tool provides full transparency, allowing you to see which PLIs are not adopted. One of the most difficult parts of client success is prioritization and this tool does 50% of the work for you. The PlanHat team has also been very accommodating during our onboarding by implementing requests quickly! Although the tool is easy to learn, your team will definitely need a training before using the tool. There is specific 'PlanHat' lingo that is key and your team won't know the intricacies of the system intuitively. Prioritizing churn-risk clients well in advance of their expiration. PlanHat has afforded our client success team with the tools they need to proactively target churn risk clients while also providing our management team with an easy way to measure portfolio health. 2. They do great CS. 3. The product is easy to use, very insightful and support CS workflow well. 4. They have all the integrations i could imagine needing. 1. Not a lot to say here. Great company to work with and lots of interesting ideas about CS. Customer Success efficiency improvements. Greater visibility to clients. Better undertsanding of key metrics and better renewal forecasting. More alignment and more collaboration across departments. Very user-friendly, but still incredibility powerful customer success tool that allows our team to better understand and work our customer base. Easy to set up teams, metrics, views, personas and analytics. Playbooks, triggers and other action-driven fetuses are very impactful. Due to the powerful way of building out metrics, it requires some training to seamlessly be able to create new metrics to track on your own (the Planhat team has provided excellent support and training though). Excellent customer success software that I definitively recommend! Provides a streamlined and structured way to understand, segment and targets our customer base. Provides clarity to our CSMs in terms of what to focus on and when, which has increased efficiency and improved customer success and results. Planhat has an amazing team and a strong product! We like the playbooks and the ability to get deep insights into our accounts. The 360 view has enabled us to gather all customer conversations in one place! The campaign functionality is powerful! The product is easy to use and the set up and implementation was smooth and quick. I am seriously very impressed by this company! The Planhat team has helped us structure our account managers and been very professional throughout the onboarding process. Very structured, very knowledgable and responsive! Nothing major but setting up calculated metrics was a bit complicated at first. Its fair to say that the Planhat team was responsive and helped me create the KPIs we needed to track our customer´s health. Great team! I feel that we've learned a lot from the Planhat team. I would recommend them any day of the week. Before using Planhat we lived in google docs, e-mails, our CRM and spent hours trying to make sense of our customer health. We're now more efficient. We've gone from being reactive in our customer success team to being proactive and more strategic in how we prioritize our resources. Planhat has quickly become our customer data hub and our "source of truth". The triggers have enabled our team to feed their tasks and todos to their current workflows (slack) and I feel that we can save money on future new hires. Planhat's UI is very clean and they are clearly innovating in the customer success space. It was very easy (surprisingly easy) to get all our systems integrated and data flowing over their API. Their approach to onboarding was good - they pushed us hard to be at value quickly and always delivered on their parts. I like that they have good ideas about Success and challenged how we do things to be at best practices. I also like their revenue module - it gives me exactly the data I need in a clean and exportable format. They have some great tools around Onboarding but they are relatively new and need some additional features. Its in the roadmap but I hope this review pushes them to build them more. use them to help with your cs strategy - they seem to know their stuff! We are making our company more customer centric. We manage our customers from Planhat, we track all interactions and conversations and we run all customer marketing and workflow from Planhat. "Planhat is a great CS tool"
1. Strong consultation and advice around CS strategy. They really helped us figure out salary models as an example. 2. Product is very intuitive and getting better all the time. They seem to have several releases each month and are building depth into the product rather than just bloating it out with features. 3. Once you have a CS software you wonder how you coped in spreadsheets before! Bringing customer info into one place is an enormous time saver and automating processes gives us more time to spend on important things. Nothing jumps off the page for dislikes and in fairness they do justify what they have and dont have in the product pretty well. I think they should probably make the range of their API better known. We were able to find a lot of endpoints which meant pushing usage data was very easy, but their API documentation doesnt list them all - not sure why though. We manage all our customer lifecycles in Planhat as well as all customer marketing and revenue management. Time saving is huge and just the level of insight and visibilttiy you get is great. Weve had strong adoption at all levels of the org which says a lot. "Very Strong Customer Success tool"
Superb user interface - very easy to use but also very action oriented meaning we don't waste time clicking on unnecessary features. Design is very smart for a CS rep and the team offers great input to CS methodology. What I like most though is they seem to be trying to innovate in the space. Everyone knows the largest players but they are also very expensive. Planhat is genuinely challenging them with some smart innovations and a more reasonable pricing model. Its important to think through what metrics you want to focus on and while Planhat's API has been incredibly helpful, you will need some dev time to send data over in the first place. We started using for workflow management before bringing in usage data which probably wasn't a bad thing as it made it part of our day to day life early on. When evaluating CS Platforms, think through workflow a lot. Planhat is incredibly strong on managing CS workflow and likely supports use cases that other platforms do not. Also ask them a lot of questions - they seem to be very transparent. For the first time we have all our customer data together in one place, a huge win in itself, but we are also now scaling our CS team faster than expected thanks to the efficiencies Planhat is giving us. Having aligned Playbooks and automated triggers are major value adds for us and we really like their approaches to Onboarding. - The Health module has become a very powerful tool to keep track of how much our customers are using our product and we do not have access to that information in any other format. As our company grow, Planhat helps us handle the increased work load. - There is nothing I dislike, any bug or error that I've found the support team and Niklas have been very fast in resolving. - Integrate Planhat with your own saas tool so that you can set up health - that was a game changer for us using Planhat. - Integrate with Intercom to get all your support tickets with the right customer - it was super easy to do! - internal communication around customer Health and performance. I really like the Planhat UI. Its clean, simple and helps me see everything i want to where I want it. Its great to have all customer data in one place. i also like how responsive they are to our needs from a support and product point of view. i dislike that i lived with gdocs and trello for a long time before planhat! Start slowly and add in functionality gradually so it becomes part of daily processes. i think we are a much more efficient team now. we understand our clients better and are becoming far more proactive. "Simple and Powerful Customer Success Tool"
Planhat is easy to use. Their playbooks and activities makes it easy to track both customer success and team tasks. It connects perfectly with SF and is always updated with great new features. 1- onboarding new customers of our SaaS software. Universal filtering of accounts per CSM is great to see. Great lightweight CS tool - gets the job done. Monitoring of all accounts and their health. Ability to see what CSMs are doing on the ground. Logging of all tasks. great team, clean UI, all the info i need about clients in one place and automations save me a lot of time. not much - id like to do more with it as there is a lot of potential. Planhat can be the backbone of your cs strategy if you take time to think through desired milestones and outcomes, and customise the system around them. managing clients, lowering churn, getting visibility into upsale opportunities, generally being able to get things done faster in cs. We use Planhat to monitor our client's engagement within our own platform to proactively identify churn risks, opportunities for stronger adoption and areas for growth. Planhat is simple. The play system allows me to keep track of what my next move is. Customer service is very quick to respond. A couple small bugs here and there but easy to work around. I'm able to keep track of my clients and not miss a beat. It was easy to set-up and it meets all the expectations of a company as large as ours..
Planhat clearly helps our CSMs to be more efficient and prioritize their work. Nothing that comes to mind at this point. We'd like to see more training of our team but I guess we also need to be more proactive asking for training sessions. At the end of the day, it's about reducing churn and improving customer satisfaction. Using Planhat we can be more targeted and more sophisticated in our customer outreach. "Great system, responsive support: a useful tool!" There are certain aspects of Planhat which aren't as streamlined as I would find ideal - no major issues but sometimes needing a refresh page or certain process can be extra time consuming. "very happy - good tool for CS teams"
UI is very easy to navigate. Product has been well thought out. They are innovating in the space and have a lot of good ideas about CS. It is helping us be more customer centric as an organisation. nothig in particular - all products have things you would like more from but generally Planhat is very good at what it does. They have a very innovative team - talk to them. We have all customer data together in one place. We can visualise and understand patterns in usage data. We collaborate with our whole company to become more customer centric. And we onboard our new clients using Planhat. "Great tool for Onboarding and customer management"
We have an edge use case of Planhat but it performs very well for what we need. Our focus is onboarding clients for programmes in our department and we moved from google docs, spreadsheets and trello to Planhat and havent looked back. Love having all the communication in one place and find the onboarding tools very intuitive. We all use for surveying. it does what i need it to do so nothing to put here. Its good for Onboarding if you are managing the process - not sure about automated onboarding. Onboarding new clients, collecting data and organising communiction. Also aligning the team with structured processes. Very configurable to your health tracking needs. Awesome customer service as well. Some parts were a little too tricky to setup and required a bit of learning. High-level overview of customer base + analysing trends. Ability to quickly focus on customers in need. "Amazing team and a great product"
Planhat is simple, but yet powerful. In addition to this I really like the team. Always nice and supportive. Can't think of anything in particular. In the beginning there were some buggs, but adjusted now. Clear overview and everything at one place. The transparency and ability to see how certain clients are interacting with our software and in exactly what way. I have not encountered any major issues or problems thus far. It's been great. We're trying to focus in on who is using, who isn't, what tools are most valuable to people, and how we can help up the usage from our clients. I think Planhat is very user friendly, has a good price and the team is very responsive to feedback. I would like to see more integrations with ERP systems and a cash-flow forecasting functionality. Being in the finance organisation, we use Planhat for overview of our current licences and export data for forecasting purposes. Easy setup, high level of customization. Nothing so far. Just be ready to take a long think and an internal discussion on exactly how you’d like the setup to be. All options are there and the team will help. Reducing churn and keeping track of the health score of our clients. "Client Success Optimization through Planhat "
Customization and the level of curation. Nothing yet but only 3 months of usage. The speed and efficiency in which my team has been able to triage client account issues has increased dramatically. the insights derived from this tool as a CS organization can't be overstated. * We monitor all Planhat reviews to prevent fraudulent reviews and keep review quality high. We do not post reviews by company employees or direct competitors. Validated reviews require the user to submit a screenshot of the product containing their user ID, in order to verify a user is an actual user of the product. Hi there! Are you looking to implement a solution like Planhat?